Internet has become a part of our life. We daily use internet for different works and without internet our PC or other devices become boring if we don’t have any offline work to do. So we use internet for accessing Google, Facebook, YouTube and other sites from desktops and laptop as well. We use broadband, wireless connections like WiFi or we use mobile phones to access internet with USB or WiFi. But weather a USB connection or wireless we install device drivers but we may face problem in connection setup. So dial up connection is the only simplest way to start using internet from mobile phones or Broadband. 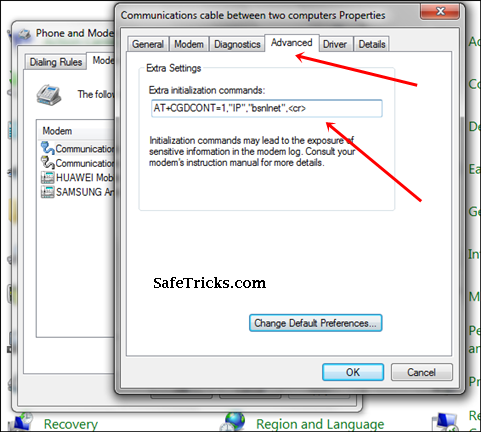 Today we will help to setup dial up modem connection if you don’t know how to setup and use internet with better speed then must read and follow below given steps. 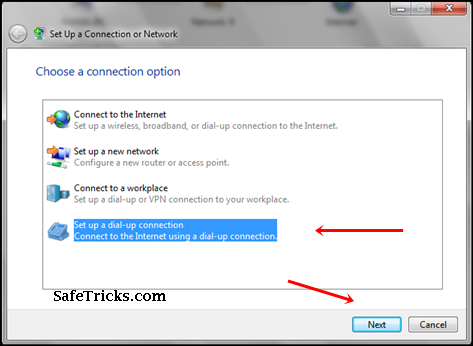 How To Create Dial up Connection In Windows? Dial Up Connection for mobile. Part 1:- Network And Sharing Settings. 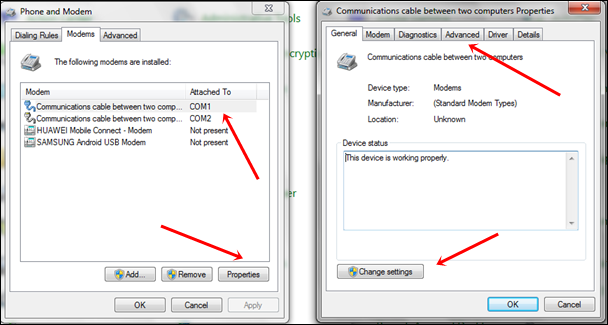 Part 2:- Phone And Modem Settings. Dial Up Connection for Broadband PPPoE. 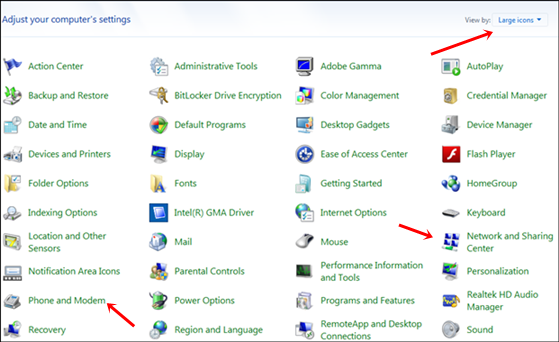 Click on Start Button >> Then open Control Panel >> Then change view from top right corner to Large Icons. Open Network and Sharing center and click on Set up a new connection. Then Click on Setup a new dial-up connection. Now new settings window will appear. Where you have fill correct information as shown in below image. Dial-up phone no:- *99# (Default no) Or *99***1# it may vary for different countries. Username and Password in case if your ISP connection is secure then add both or otherwise leave it. Add your connection name and click on connect button. If you successfully able to connect with internet then its good otherwise also follow Part 2 settings for Phone settings. Open your Control Panel and then Phone and Modem. Then add your Country code or Area code (Postal code) and click on OK button. Again open Phone and Modem >> Then Switch to Modem Tab. If your Device is available and attached to any port then select it and click on Properties. New window will appear then click on Change Settings button. After refreshing window will appear again. Now switch to Advanced Settings Tab. In Advanced tab there is an option of Extra Initialization Command. Just like we are using Bsnl connection on my mobile phone so bsnlnet will comes in the place of APN and in the same way your connection will comes. Then paste this command and save your settings and make sure that command should be correct otherwise internet will not works. 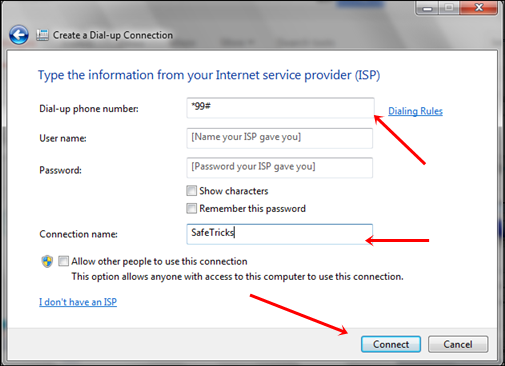 If you own a broadband connection and want to connect to the internet via dial up connection, then here are the steps to do so. Step 1. Click start button and open Control Panel. Step 2. Then, Open “Network and Internet” and choose “Network and Sharing center”. Step 3. Now select “Connect to the Internet” and then click next. Step 5. Now select “Broadband (PPPoE)” and click next. Step 6. Then enter the username as well as password provided by your ISP and set a name to your connection. Step 7. Click on connect to save your setup. After doing all these settings we hope you will be able to use internet with dial up connection for your mobile or wireless devices as well as Broadband. If you face any issue while setup please share with us in comments.